Pumpkin spiced candles, fun festive decor, and people visiting homes in your neighborhood, door to door. If you think Halloween isn’t a good time to sell your home, think again. While it’s a holiday that’s typically associated with ghouls, goblins, and ghastly creatures, it can also be a great time to market your home creatively. Here are some of the best tricks we’ve discovered to use the holiday to your advantage when selling your home. Finally, you can really get into the spirit of things on Halloween by dressing up as Dorothy from The Wizard of Oz while you’re handing out candy to the neighborhood kids. Remind folks who come to the door that, “There’s no place like home,” and then hand them your flyer or a piece of candy with a card attached. It will certainly be memorable! 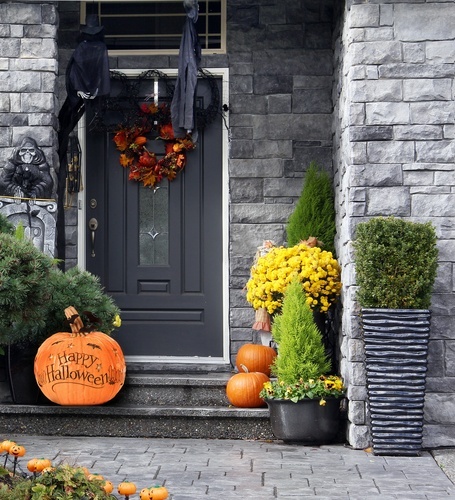 The bottom line is that Halloween doesn’t have to scare away buyers and hurt your home sale. By taking advantage of the holiday and the increased foot traffic around your house, you can use your creativity to cater to potential buyers. And if you are thinking about selling, but the market has you a little spooked- give us a call. We are happy to scare away the monsters under the bed, and show you that today’s market isn’t anything to be afraid of.